Formed in a warehouse in late 2014, Only Shadows have been described by the likes of Amazing Radio as "One of the UK's brightest hopes for guitar music". 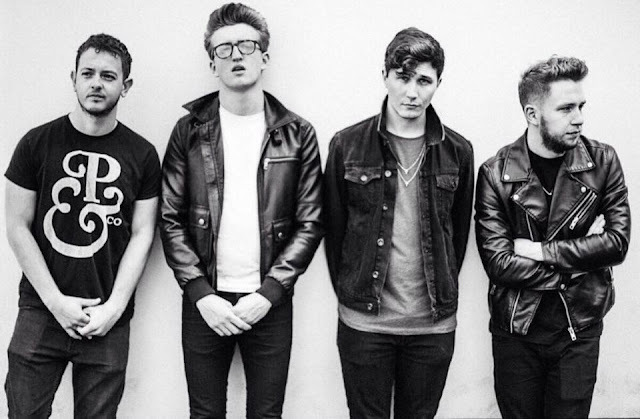 And since then the band have in their very short life span supported the likes of Coasts, Saint Raymond, Prides and Young Kato. After their initial demos were picked up by BBC Introducing Birmingham, the band have toured extensively around the UK. Having sold out their first ever headline show, the band have been working at legendary Westpoint studios in London (Killers, Jake Bugg, Adele) on new material due for release in late 2015. This week sees "Many A Mountain" get the 'Track of the week' treatment, and we're blooming loving it! The track is reminiscent of early Bloc Party, Editors and Biffy Clyro all in equal parts. The rush of guitars in the chorus is something I'd love to see more bands do, everyone is too scared of making tracks like this, however Only Shadows are setting their sights high here with a wonderful track. Dynamic and fresh, Only Shadows have recorded a stunning track, listen to it below!